Toronto deserves to be showcased to the world. Not only that, Toronto deserves to reap the economic, systemic and societal benefits that are attached to hosting a World Expo. Expo’67 in Montréal and Expo ’86 in Vancouver were major events that brought both cities to the international playground. They also allowed Montréal and Vancouver to build important infrastructure that helps the cities function to this day. Not only are the economic and cultural benefits massive, but hosting a World Expo provides the opportunity to represent our country on the world stage. It is our time! 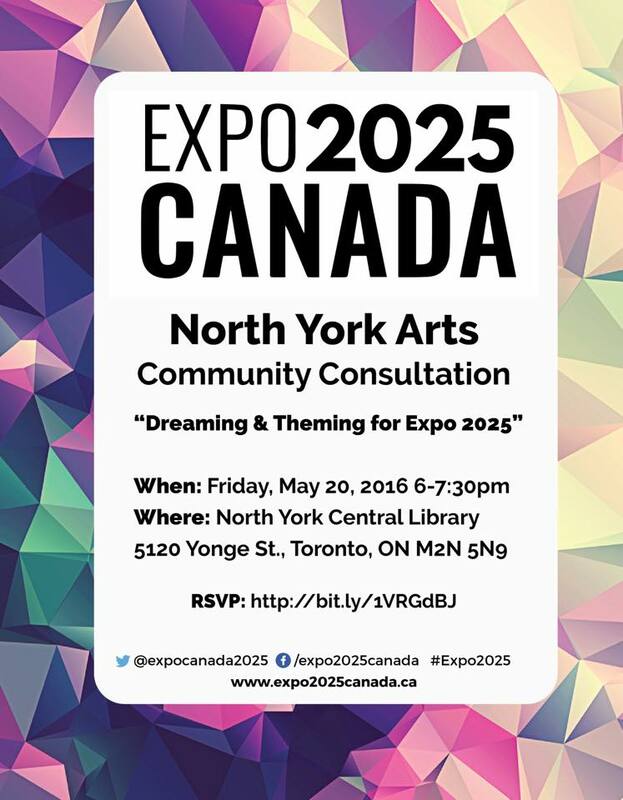 Join us for a community consultation with Councillor Wong-Tam, presented by North York Arts.